Students write the word of the drawing on the line and tick the correct indefinte article. 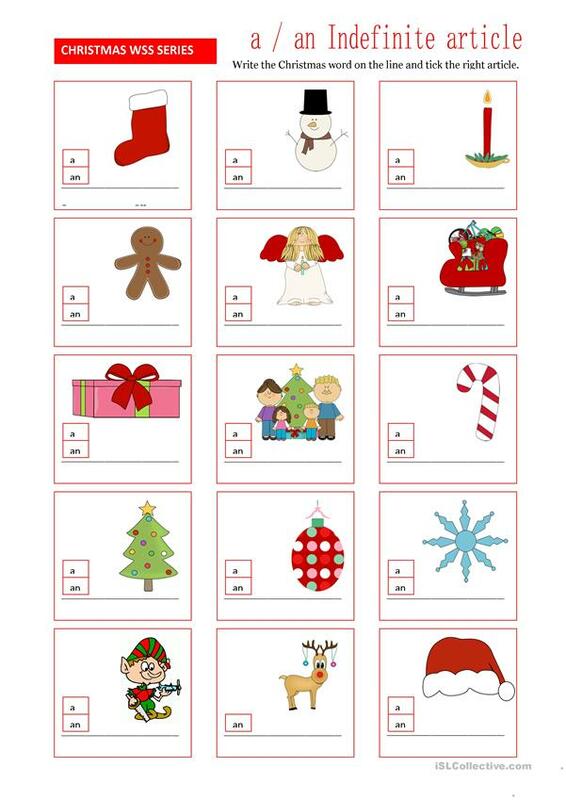 The above downloadable printable is recommended for elementary school students, kindergartners and nursery school students and adults at Beginner (pre-A1), Elementary (A1) and Pre-intermediate (A2) level. It is a useful material for practising Articles and Articles: indefinite articles (a/an) in English, and can be used for developing your learners' Reading and Writing skills.